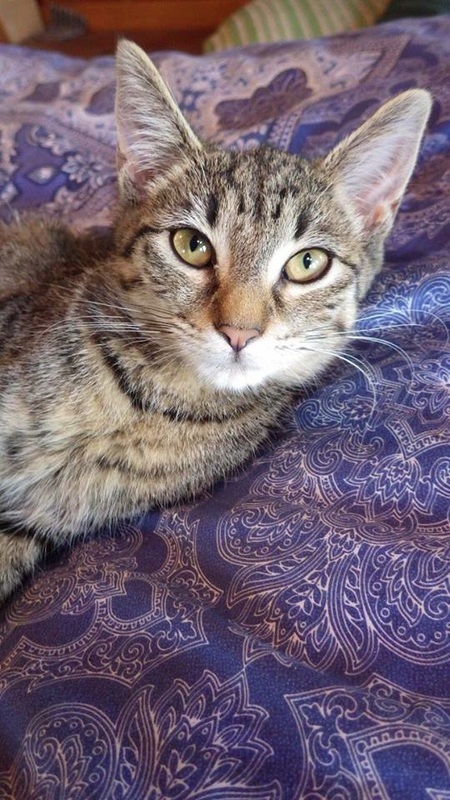 Yet another Collegetown tabby kitten, Caprice, (formerly Nicola) is a born sweetheart. If you’re looking for a kitten that follows you around and purrs as soon as you start petting her, look no further than this beautiful girl. Her foster parents often find her sitting right behind them, meowing for a good ear rub or lower back scratch. She loves cuddling with other cats, (especially her brother Chevelle) and plays well with the dogs that she's fostered with. Do you have room in your heart for this sweetie pie?